MyEasyShopping arm curl weight bench makes work more effective, as well as adds strength and tone to the entire abdominal section. 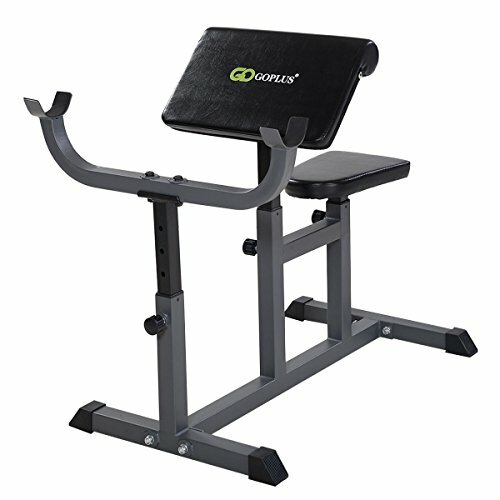 With ample padding and a heavy duty steel construction, this weight bench provides stability for simple exercises. It is ideal for you to more easily emphasize lower abdominal muscles and build the muscles you want in less time. It has five-position adjustable height to meet various levels of exercising. It is ideal for in-home and light institutional use. High quality with competitive price can be realized here!